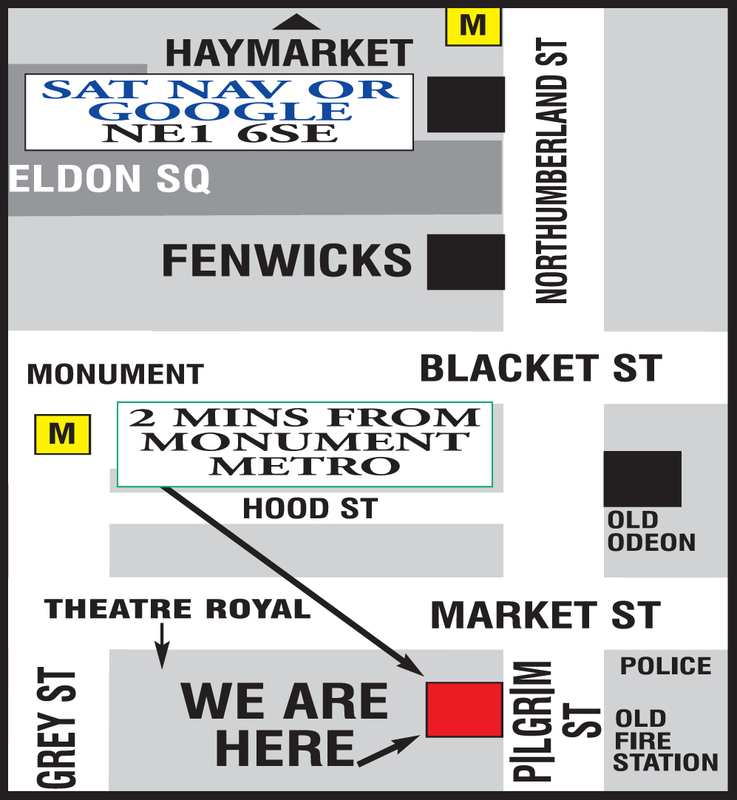 Our Shop is a Two Minute Walk from Monument Metro Station. 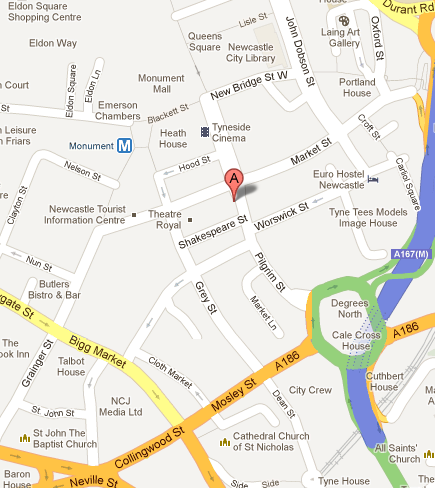 We are situated at the rear of Newcastle's Theatre Royal - on the corner of Market Street and Pilgrim Street. Please note that we begin to pack stock away at 16:30 therefore our whole range may not be available. Come in early to avoid dissapointment.